Description: V-neck lined windshirt. Shaped piped side panels. Concealed zippered pockets. Matching fine ribbed neck line and cuffs. 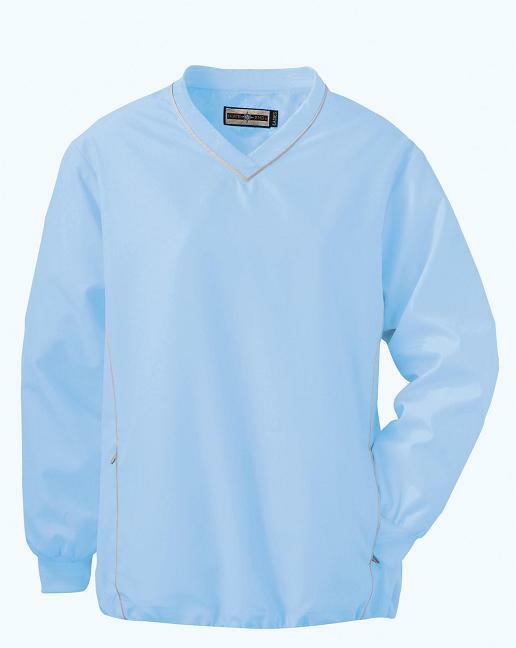 Noiseless weather resistant polyester microfiber with Teflon® water and stain guard protection. Water and stain guard protection. For XXL, add $2.00; for 3X, add $3.00.